Whenever I remember the mighty Himalayas, many pictures dance in front of my eyes, like they do in front of Sherlock Holmes when he makes mind castles. Pictures which were part of memories, but slowly became part of my life so much so that whenever there is any discussion of travel, a story or two of Himalayas come inadvertently. I cannot help it. Those pictures tell us the story of the men meeting the mountain. Those pictures show how mighty turbulent rivers get transformed from a small stream of water. Those pictures show us the resolve of tall mountains which are thousands of years old but still young when the timeline of mountain formation is considered. Those pictures which we were able to bring with us also remind us that we have also left too many things there. And we might have to make many more trips to try and bring them back. Those pictures in which you will not find any sign of life but you will realize at once that it was full of life in its own way. I am not talking about the pictures that I have taken with a camera but ones that have been deeply entrenched in my memory. My trip to Spiti valley begun from Manali, a popular hill station which was not that popular few decades ago. Then militancy in Kashmir led to a major drop in the number of tourists in Kashmir Valley. Once a sleepy little village, Manali transformed into a major tourists attraction. I have to admit that this transformation has taken a toll on the beauty and tranquility of Manali. The streets of the Manali were so crowded that it never looked like that we are in a Himalayan town located far from the hustle of a big town in Gangetic plains few hundred kilometers away. Well, Manali is also like a base camp. Trips to Spiti Valley, Leh, and many other popular tourist destinations start from here. Mall Road in Manali was small but still very crowded. We hired a taxi in Manali for Spiti Valley. We were warned in advance of the dangerous roads and low temperatures. Also, being inexperienced we did not decide in favor of a bike trip to Spiti valley. And thus began our trip to Spiti Valley. I have wondered many times that why do we travel. Those who travel frequently, why do they do that? One reason can be that getting away from daily routine is always refreshing. Do the same thing again and again, and one day we think why are we repeating it so many times. Then we try to escape to where we can forget what we have been doing. The second reason can be the curiosity and an eagerness to talk to new people, to explore previously unexplored areas (unexplored not necessarily by the humankind but by the person himself/herself) and to know more about oneself. This purpose of traveling closely resembles the purpose of reading books - to know more. In its purest form, the purpose of knowledge should be to become enlightened, to be in a state of bliss and to be awakened. The purpose of knowledge should not be to win debates, to show off or to dominate the discussions. 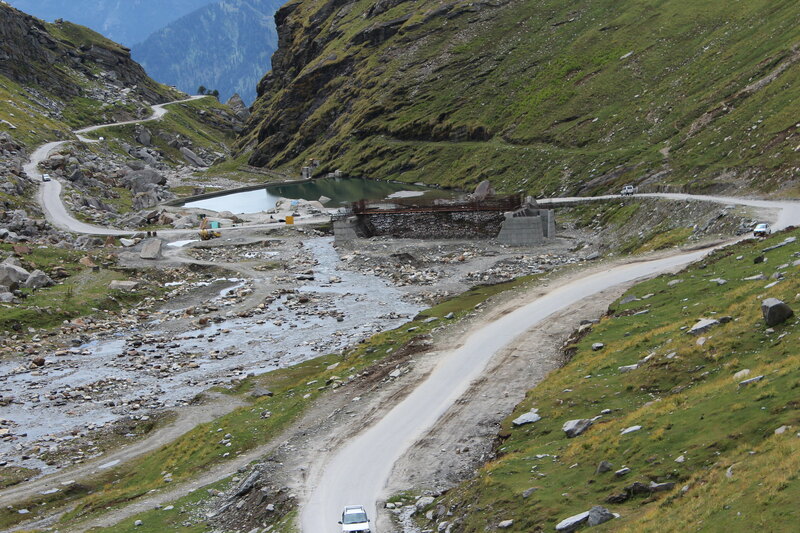 The distance between Manali and Rohtang Pass is about 45km. Rohtang Pass was very crowded that day and we got to know from the driver that during the season (mostly summers), it is like that only. There were many small waterfalls on the way to Manali and we could see vehicles parked near them. I was thinking that the tour plans sold by the tour operators for these waterfalls are making tourists myopic. They do not know what lies beyond Rohtang Pass and with a tendency to settle down for these tour packages they will never know. At Rohtang Pass, we saw tourists in full snowfall gear. They must have been convinced that it will be extreme cold at the Rohtang pass. 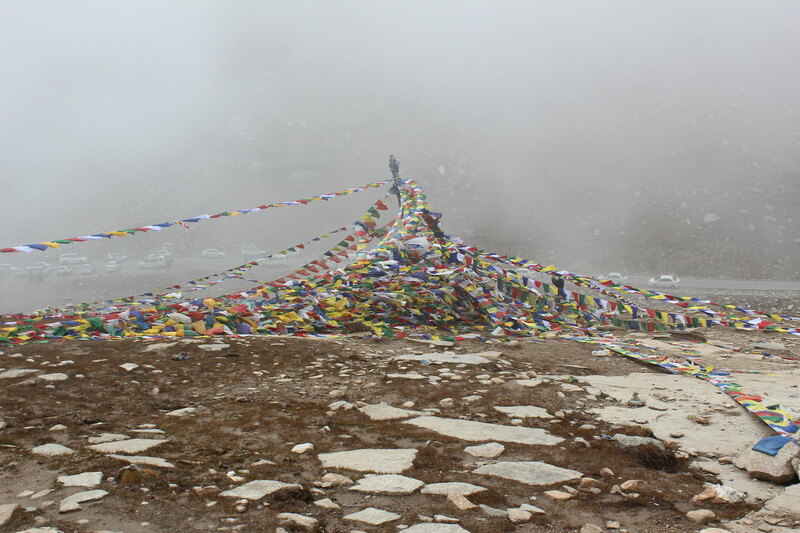 In the language of the Ladakh region, Rohtang means the pile of corpses which is a reference to frequent deaths caused by the unpredictable weather at the pass. Our driver told us that frequent landslides happen on the road to the pass. Once he was stuck there for a week. He used to climb down the hills to go for food and then come back again to the vehicle. At Rohtang Pass, it was all cloudy. There were beautiful colorful flags with which we encountered at almost any place of significance during our journey to Spiti Valley. This is a Buddhist tradition. Legend has it that these flags were used in battles with the prayers of Gautama Buddha written over it. 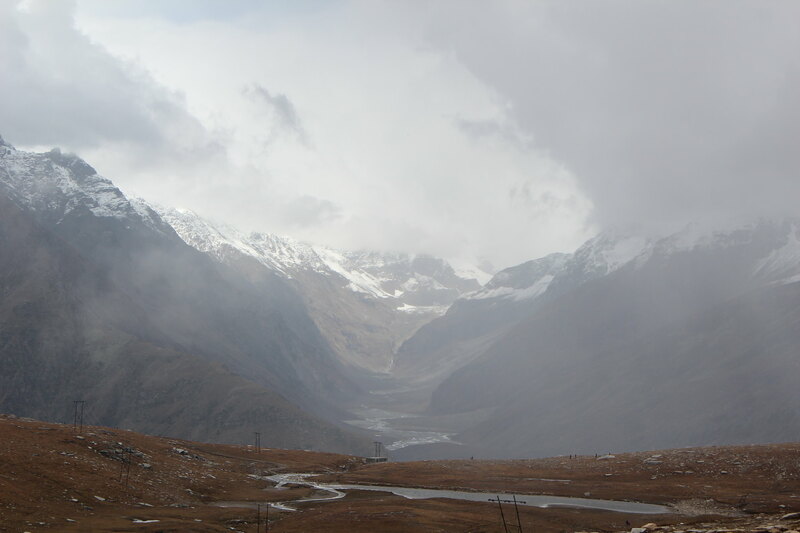 From Rohtang Pass, we could observe the changing views because of clouds coming and going. Normal process was like this - there would be a valley which would be dark and then slowly it would become silver in color. Then that valley would seem like a source of light for the area. While descending from the Rohtang Pass, we reached Gramphu where there is a diversion - one road goes to Leh and another goes to Spiti Valley. This time, we chose the one less traveled by - the road to Spiti Valley. One needs to make sure you make the most of it when you visit a top notch place like https://www.imanali.in/manali-tour-package-pune Manali. The best part about Manali is you have a pleasant weather through which can very pleasing for everyone. Make sure you make the most of it when you visit a place of your choice.